(From Pentax lens literature) The PENTAX 02 Standard Zoom lens for Q-series cameras offers the flexibility of a 3X zoom in a very compact form factor. 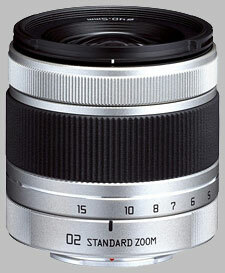 It is ideal for wide to medium telephoto applications where zooming flexibility is required. The Pentax Q 5-15mm f/2.8-4.5 02 Standard Zoom doesn't have any user reviews yet!